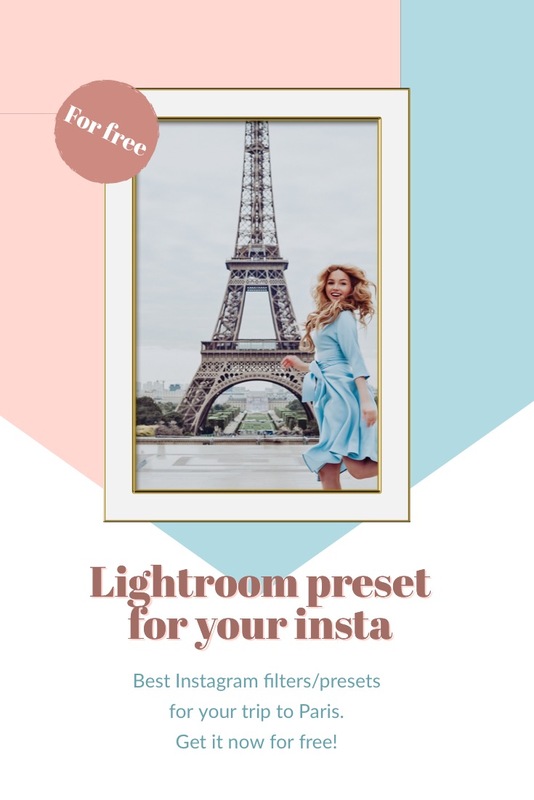 The most popular approach to have a consistent insta feed is to use one Lightroom template/ filter. As long as you stick to the same filter and color combination you’ll have no stress. Please don’t forget that you should pay attention and edit every single shot. Here is the first example of Lightroom template that I used to retouch my pics from Paris. Hope it will be useful! Try it and let me know if you like to read more articles about blogging/growing your instagram etc. You can also DM me on Insta.